Despite smashing her rivals in a slow race to take gold, Rose Chelimo admitted that Jakarta's heat and poor air quality had caused her problems. World champion Rose Chelimo made light of brutal conditions on Sunday to scoop Asian Games 2018 gold for Bahrain with a runaway win in the women's marathon. 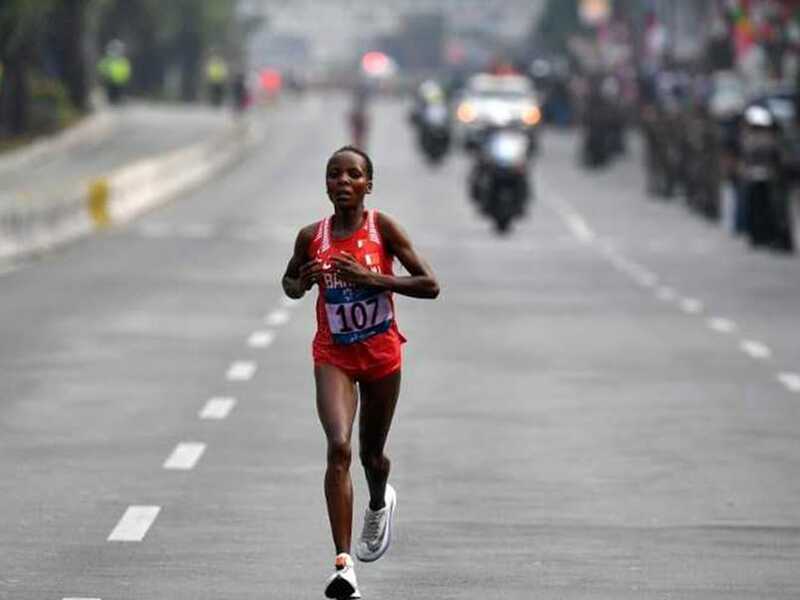 The Kenyan-born athlete produced a devastating break from the leading pack after the 25-kilometre mark in Jakarta and ploughed a lonely furrow as she crossed the line to win in a modest time of two hours, 34.51 seconds. Chelimo's gold continued Bahrain's recent Asian Games success in the marathon after Eunice Kirwa and Hasan Mahboob -- both also born in Kenya -- won the women's and men's titles in 2014. Despite smashing her rivals in a slow race to take gold, Chelimo admitted that Jakarta's heat and poor air quality had caused her problems. "It was bad, it was too hot," the 29-year-old told AFP. "I felt something in my throat too. The air here, you feel like it's hard to breathe. "I felt like I wasn't going to finish but I found some morale and hope to keep going. Thank God I finished with no harm." Chelimo had already crossed the finish line when Japan's Keiko Nogami entered the stadium to claim silver over a minute and a half behind. 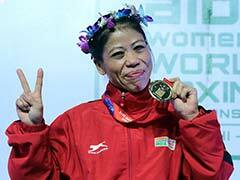 North Korea's Kim Hye Song took bronze. "But I'm very proud to be the Asian champion," said Chelimo, one of 10 siblings who captured the world title in London last year. "I just spoke to my family on the phone and they were all praying for me," added the gold medallist, who grew weary of the snail's pace the leaders were running at to break away after 25km. "I planned to break away around 35km but I saw my chance and decided to go for it," said Chelimo. "Nobody followed me so I continued to push the pace and then I was on my own." Nogami bit her tongue when asked if she had any sore feelings about being beaten by a runner born in Kenya. "Maybe, but she came first regardless of her nationality," said the Japanese runner. "Perhaps I should just focus on my own shortcomings." Nogami, whose countryman Hiroto Inoue won the men's marathon a day earlier, also complained about the heat despite the early morning start. "When I threw my sunglasses away late in the race my eyes were really stinging," she said. "I felt then it was because of the air pollution but to be honest the heat was worse." Kirwa followed her Asian Games gold medal with a silver at the Rio Olympics two years ago and Chelimo signalled her intent to race at the 2020 Tokyo Games -- mindful that severe heat could be a factor. "I'm planning to go for gold in Tokyo," she said. "I hope all will be well."